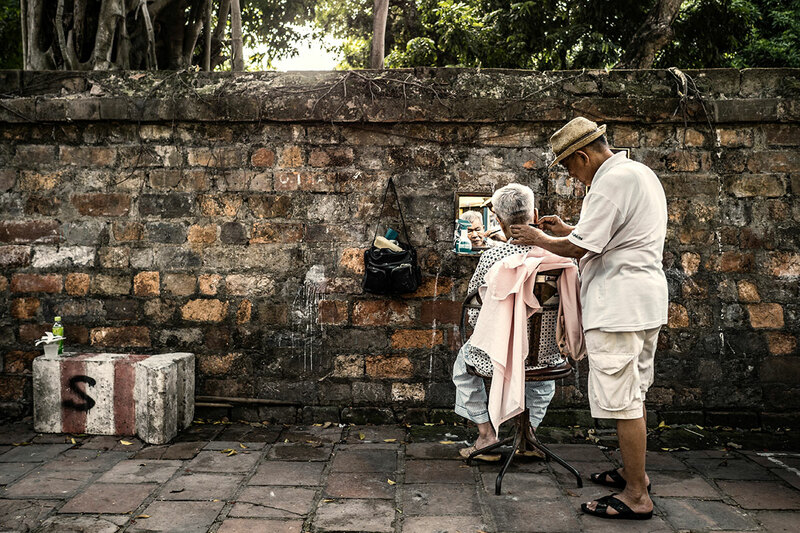 Tourists usually arrive in Vietnam in one of the country’s two main cities- Ho Chi Minh City and Saigon – with the capital Hanoi being the ideal starting point for an itinerary that takes visitors from the north down to the south of the country. and to UNESCO World Heritage Halong Bay, where thousands of limestone karsts rise out of the sea creating a dramatic landscape. 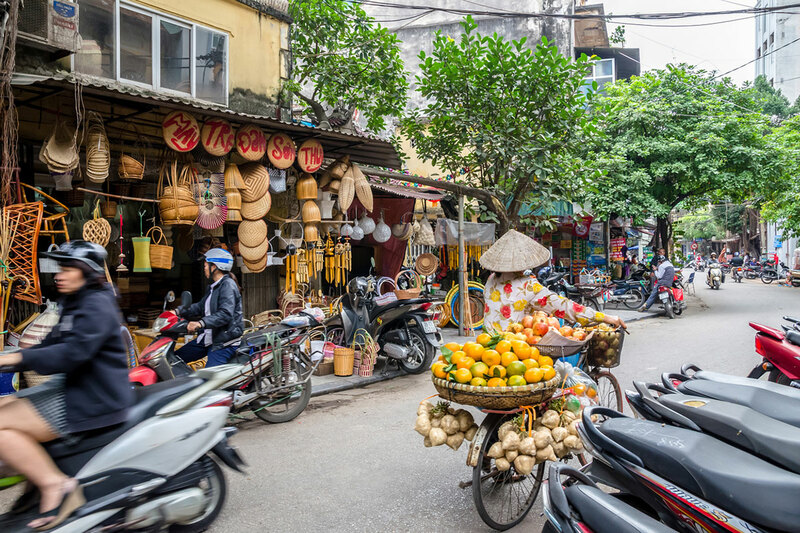 Though serving as a starting point for exploring the country, Hanoi is a fascinating destination in itself and we recommend visitors set aside at least several days to discover the city’s many hidden charms. 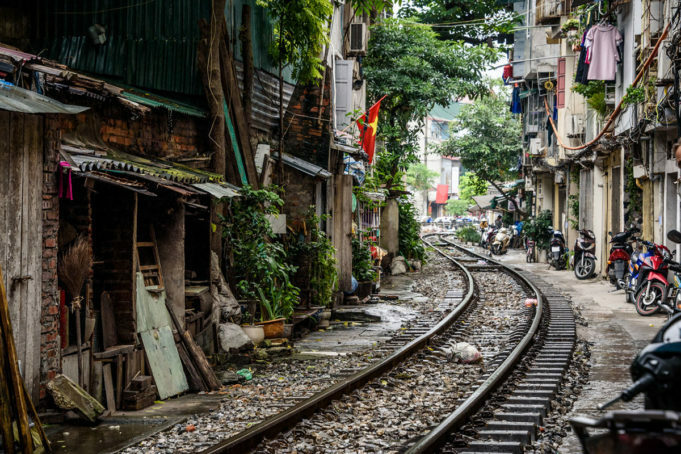 Soak up the atmosphere - wander the streets, watch the people and chat to the friendly locals, that is what Hanoi is all about. Much of the pleasure to be had in a visit to Hanoi is in simply soaking up the atmosphere – wandering the streets, people watching and chatting to the friendly locals. 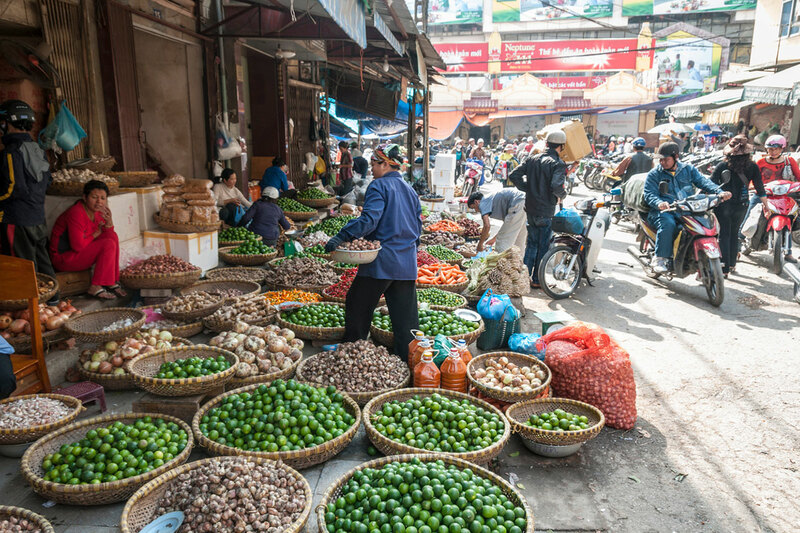 Several days can be spent exploring the bustling Old Quarter, once the centre of commerce, and sampling the flavoursome street food the country is famous for. However, no trip to the capital is complete without taking in some of the most famous sights and discovering the city’s somewhat turbulent past. Topas Adventure Vietnam offers city day tours of Hanoi that take in some of the most interesting sights including Hoa Lo Prison Museum, the Temple of Literature and Hoan Kiem Lake. 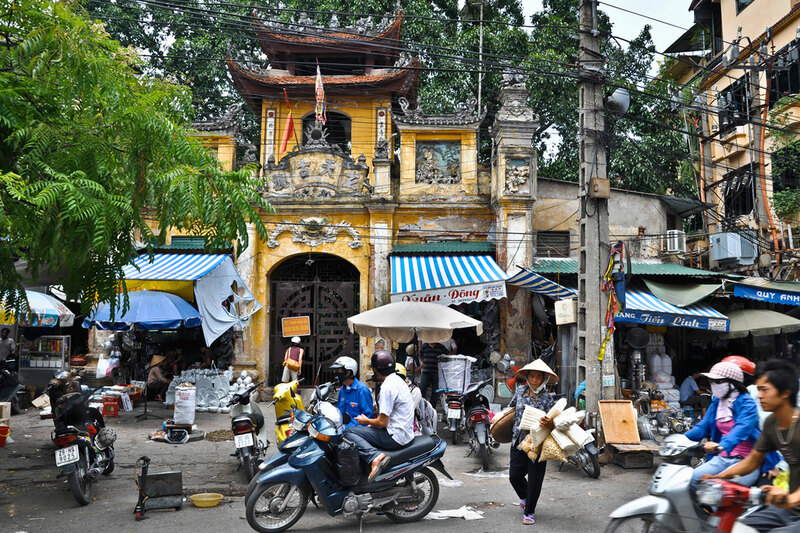 The city boasts some first-rate museums including the excellent Women’s Museum that highlights the pivotal roles women play in Vietnamese culture and society and the Museum of Ethnology, which is well worth a visit particularly for those travelling to the mountainous northern region, to learn more about the country’s vibrant ethnic minority cultures. While most visitors only spend a day or two in Hanoi before setting off to see more of the country, it would be easy to spend a week or more exploring this intoxicating and rapidly evolving city. Hanoi’s numerous lakes are great spots for observing local life, and are ringed with joggers, ladies practicing aerobics and serene locals engaged in tai chi early morning and every day before sunset. The city has a buzzing cafe scene, with independent and quirkily designed cafes each with a story to tell outnumbering the homogenised chains by far. 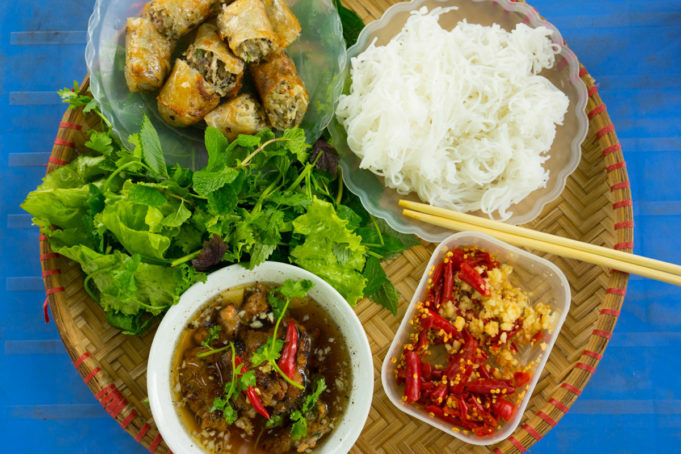 Street food culture is everything in Hanoi and several tours are on offer that take visitors to some of the best spots, or those brave enough can venture out alone, pulling up an ubiquitous plastic blue stool and chowing down with the locals. The Topas Mountain Express makes the return journey daily between Hanoi and Topas Ecolodge, departing from Hanoi at 7am and arriving at the lodge by lunchtime. The comfortable, air-conditioned minivan can also be booked to transport passengers to other hotels in Sapa town. Our drivers are all experienced at navigating the mountainous roads and will deliver you safely to your destination. We offer tours to Sapa with overnight stays in either Topas Ecolodge or Nam Cang Riverside Lodge, with opportunities for hiking, mountain biking, relaxation in the mountains and visits to ethnic minority villages. Our tours take visitors far from the crowded tourist hotspots and offer a unique experience, with responsible tourism central to our ethos. Our experienced and considerate guides will give you an insight to life in the mountainous north and bring you closer to the people living in some of the remotest villages. We will show you the beauty of the region’s serene natural landscapes away from the rapid urban development and give you a chance to try your hand at some of the traditional artforms and customs of the local mountainous people, including weaving and creating herbal remedies. We offer a Halong Bay tour departing from Hanoi with several options of boat accommodation on traditional wooden junks. Tours take in the famous sights of the spectacular UNESCO World Heritage Bay including the stalactite and stalagmite adorned Thien Cung cave and Ba Hang floating village, with time set aside both for adventure and relaxation. The Topas Mountain Express can pick up customers from their hotels or places of residence in the Old Quarter or Tay Ho area, therefore we recommend staying in one of these two areas. Both have a lot to offer, with the Old Quarter being in the heart of old Hanoi and in close proximity to the French Quarter, and Tay Ho area enjoying a beautiful location next to West Lake, Hanoi’s largest lake, and offering a wealth of western restaurants, bars and boutique shops as well as Vietnamese temples and delicious street food. To ensure our clients receive a high standard of service and accomodation, we recommend booking 3 star or higher boutique hotels in the Old Quarter or close to Hoan Kiem Lake. We also offer a hotel booking service with competitive rates. Topas Ecolodge is owned by Topas Group and operated by Topas Adventure Vietnam (TAV). TAV can organise tours in the country that include a stay at Topas Ecolodge. TAV seeks to offer adventurous, authentic and unique experiences that respect the local environment and communities while bringing visitors a little deeper into the real country and away from the tourist sights.